Dr Northcutt's office staff has over 65 years combined experience, so you are assured of competent, courteous service! We are here to help, so feel free to contact us and we will do our best to assist you with any questions you may have. Dr. Randall Northcutt has over 33 years experience and has been treating patients in Longview since 1984. He is a Medicare Provider and a Preferred Provider for most major insurance companies. He is credentialed by the American Academy of Pain Management and has earned full Diplomate Status. He is a Fellow of the International Academy of Medical Acupuncture. He is dedicated to utilizing the best evidence based, scientific methods to get his patients well. 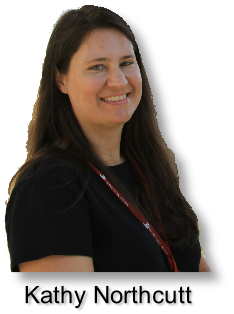 Carole has over 20 years experience as a therapy assistant and radiology tech. She handles all of the patient flow in the clinic. She has been with our clinic since 1999. Julie processes all of our insurance billing and claims. 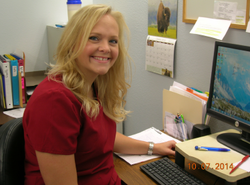 She also serves as our point of contact for patient referrals and imaging needs. Julie is a graduate of Mid Western University in Wichita Falls. She has been with the clinic since 2008. Kathy Northcutt, R.M.T., completed her study of massage therapy at Hands-on-Therapy School of Massage in Tyler,Texas in August of 1998, and received her State Board Certification in February of 1999. Since that time, she has completed many advanced classes including such subjects as myofascial release with Dr. Michael Schneider, reflexology, soft tissue mobilization, fibromyalgia and myofascial therapy with the CORE Institute of Structural and Body Work.